Willomina is one of the farm favorites. She is the whole package. Beautiful fibre, great conformation, cute face and great disposition. Her first cria Wasabi, sired by Grayson Sky wins back to back Reserve Grey Championships! 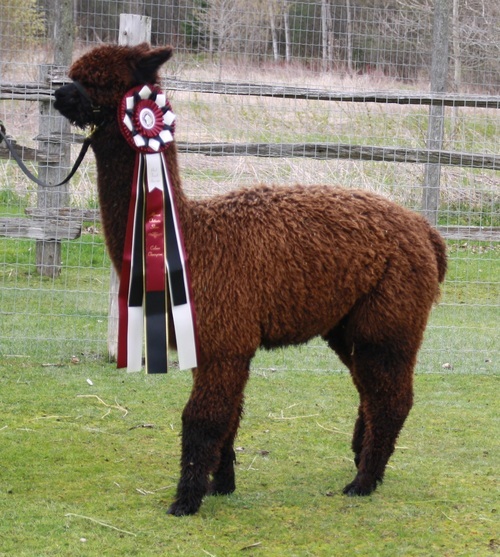 Her second cria Wasaki, sired by Arriba Aqeeto, wins Reserve Champion! Her third cria Willa, sired by Cortez wins Black Champion! Her fourth cria has arrived. 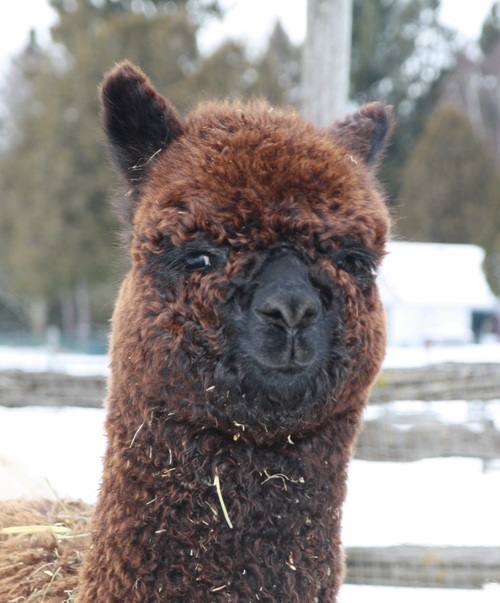 Wilona is sired by Adonis and is our first black cria from Adonis!!! Both Sara Jane and Ken Hibbits pulled him out of the line up in consideration for supreme, just an outstanding male we have here. Resolute does it again, another black out of our white herdsire Res, and what a black he is. They don't come along very often like this, we knew Guin could throw colour but we were not expecting black! A true black gorgeous girl sired by Arriba Cortez (same sire as Arriba Adonis, our 5x Champion Grey) and from one of our best foundation females. She is bred to Averegan's Argo for her first cria. What a cria this should be! 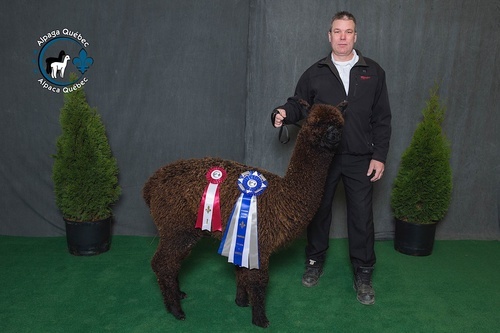 CHAMPION BLACK - ALPACA ONTARIO SHOW 2017! 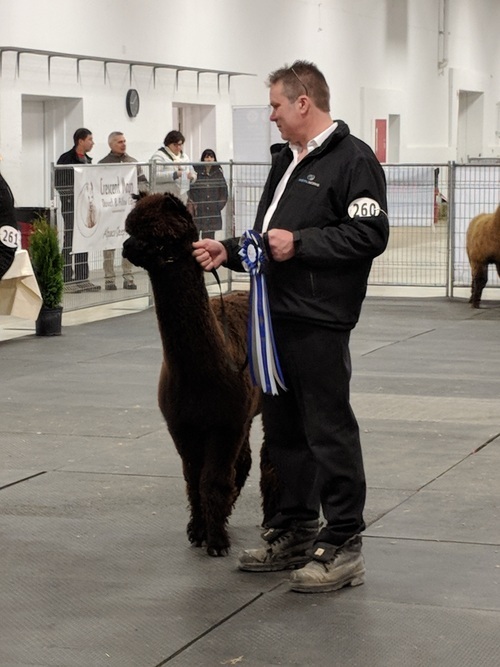 RESERVE CHAMPION BLACK - ALPAGA QUEBEC SHOW 2018! RESERVE CHAMPION BLACK - LLOYDMINSTER FLEECE SHOW 2017! RESERVE CHAMPION BLACK - ALPAGA QUEBEC SHOW 2017! 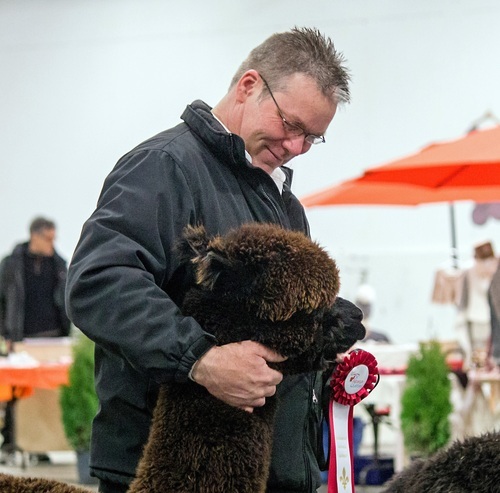 1ST PLACE - ALPACA ONTARIO SHOW 2018! 1ST PLACE - ALPACA ONTARIO SHOW 2017! 1ST PLACE - ALPAGA QUEBEC SHOW 2017! 1ST PLACE - ALPAGA QUEBEC SHOW 2018! 2ND PLACE - CNCC SHOW 2017!